Declining cognitive function is often associated with advanced aging – whether caused by disease or the aging process itself. Fortunately, your mental function is not always at the mercy of time, as there are many lifestyle choices you or your loved one can make to improve brain health! A lot of what goes on within our body can be influenced by our interactions with the environment around us. 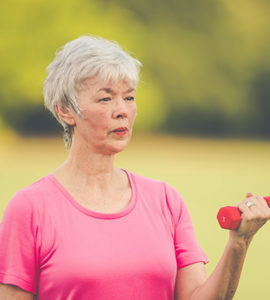 Most seniors would benefit from an active lifestyle, however, with age, most become more sedentary and end up missing out on the benefits of a more engaged lifestyle. Increased sedentary behavior may be due to old habits or current health issues. Below, we outline various activities that our caregivers do with our clients to help boost brain health and maintain an optimal mental state. Get out your puzzles and board games to play with your friends or family on the weekends! Puzzles and board games like Sudoku can keep the brain healthy and functional. 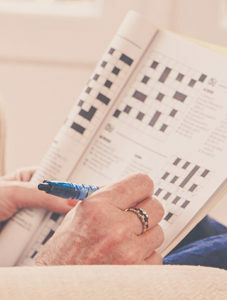 AmeriCare’s caregivers can build playing these helpful games into a regular routine with clients so they can work together towards improved memory function, creativity, and enhanced decision-making skills. Even when alone, you or a loved one can still build these skills by working on independent games like jigsaw puzzles or word games. Mobile devices also offer hundreds of free games that exercise these same skills and can be played at any time, anywhere. You are never too old to learn! If you or your loved one enjoy learning in a formal setting, you can sign up to audit a class at your local community college. Continuing your academic journey in this way will help keep your mind engaged while exercising your reasoning and comprehension skills. And this is a good thing — a challenged brain is a healthy brain! Attending your local college allows you the opportunity to try out new areas of interest that you could not pursue earlier due to your career or raising a family. There are many senior scholarships and discounts opportunities available if you intend to earn a degree. Online classes or enrichment sessions at your local recreation center can also provide an opportunity to encourage social interactions and new learning experiences which will undoubtedly improve your cognitive function. Everyone knows exercise is good for the body, but did you know it’s also excellent for healthy brain function? Aerobic exercise has been shown to counter the effects of aging in the brain. Everything from yoga practice to a daily walk around the park can deliver brain health benefits. Exercise affects the brain by helping your body to release endorphins which promote increased blood flow to the brain. You can cut down your risk for Alzheimer’s Disease and dementia by engaging in regular and even casual exercise. Every little bit helps! Studies show that reading and writing helps to reduce the risk of dementia by about 50 percent. While you certainly don’t have to read a book a day, intermittently reading throughout your week can help maintain and even improve cognitive function as your brain utilizes recognition and reasoning skills while you read. 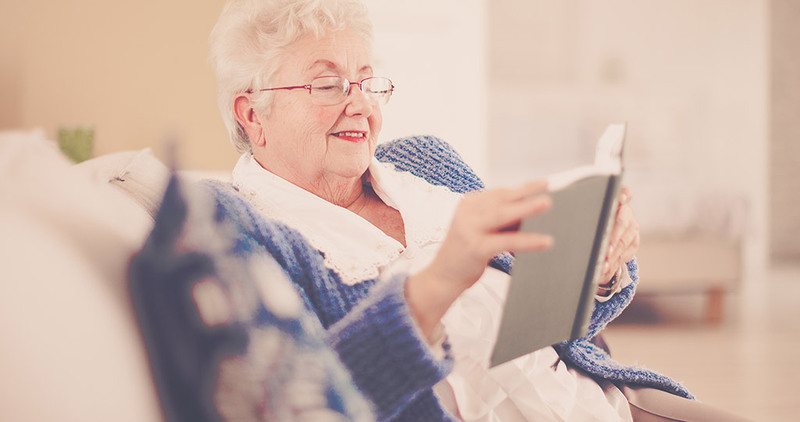 If you are unable to read on your own due to vision or mobility issues, our caregivers can read to you! The action of actively listening and following along also engages the mind and improves brain health by activating similar cognitive functions as reading. Writing also helps stimulate the mind by encouraging intentional thought process and activating the language parts of the brain. Writing about your daily experience is enough to stimulate your mind and improve function. You can even take your writing further by practicing creative story writing! If you don’t already own a pet, adopting an animal and providing care for your new loved one will help to improve your mood, maintain healthy social engagement, and prevent depression. 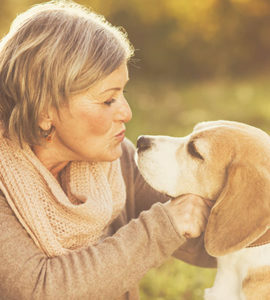 While some may fear they cannot care for a pet due to limited mobility, working with someone like an AmeriCare caregiver can offer a world of possibilities, by helping with tasks such as veterinary appointments and pet grooming! Check with your local AmeriCare location to find out what type of pet services they offer. It is no secret that your brain performs best with the right kind of fuel. High intake of fats and cholesterol can make you more susceptible to dementia while a diet rich in vitamins and minerals can protect you against it. Try to switch out some of your regular foods for whole fruits, vegetables, and proteins to give your brain the nutrients it needs to thrive! This one is a little different from our other tips because rather than actively engaging your mind in activity, it requires that you give your mind time to rest and reset. Adequate sleep is an important requirement for your brain to process short-term memory. Without proper sleep, you may suffer from gradual memory loss. Make sure to check with your doctor if you are having trouble sleeping. Spending time on the activities you care about will bring more joy into your life, especially if those activities involve friends or family. You get both an emotional and mental boost while reducing the risk for advanced aging diseases such as dementia. Help your loved one plan comfortable and stimulating brain-protecting activities that they can accomplish on their own and balance them with group activities that can include you, other friends or family, or a trusted caregiver to make the experience as enjoyable as possible!